There are an endless supply of fad diets to be found in the world of dieting. Fad diets make huge promises of quick weight loss and beautiful bodies, but many fail to live up to those promises. Many fad diets are downright dangerous, some are completely utterly bonkers and others appear to be reasonable and sensible on the surface. Find out everything you ever wanted to know about fad diets by reading on. ​A fad diet is a diet plan that promises the follower fast weight loss, often by encouraging unusual or restrictive eating habits. They usually lack scientifically proven results, or the backing of health professionals. Fad diets often have a cult-like following, with hoards of users claiming their successful weight loss from the plans - despite the dangers and unsustainable up keep associated with them. They also have a trend element to them, coming and going like popular fashions. But while fad diets may seem like a recent development, did you know they’ve actually been around for centuries? The new media and beginnings of celebrity culture in the 19th century is thought to have kicked off the craze for dieting, with a tapeworm diet and arsenic pills among some of the gruesome methods used. Let’s take a quick look at some more fad diet trends from the last century. The flat-chested flapper girl ideal of the 1920s was achieved by many using the Hay Diet (where surprisingly, dieters didn’t actually subside off hay). The Hay Diet focused on segregating particular food groups so the body would supposedly break them down more efficiently – for example, protein and carbohydrates were banned from being eaten together. ​The 1950s brought the trend of the Marilyn Monroe shape - a more hourglass shaped body achieved by eating nutritionally balanced meals, alongside the use of a corset to maintain a small waist. A rigorous domestic liftestyle of homemaking and housework also helped to keep women slim during this period. In more recent history, the 19080s and 1990s saw the rise of the supermodel, meaning that thing was in. ...fad diets have been characterised throughout history by the body shape that was in vogue at the time. These days however,bodies in the media come in many different shapes and sizes, and people strive to look their best whether they prefer a slim, curvy, or muscular look. This means that in 2018 fad diets are extremely varied, as each one depends on the desired result of the dieter. There are a few simple reasons why fad diets have remained popular to this day. Losing weight can be a struggle, and in an age of instant gratification people want to see results – and fast. On top of this desire for rapid weight loss, the Internet supplies dieters with a wealth of information right at their fingertips – and who wants to pay for an expensive dietician when you can just find an eating plan online? However, the main problem with fad diets is that they are rarely certified by medical professionals. Using a search engine to look for diets will return endless tips and plans, but it can be hard to tell if they are the real deal, or a dangerous quick fix. 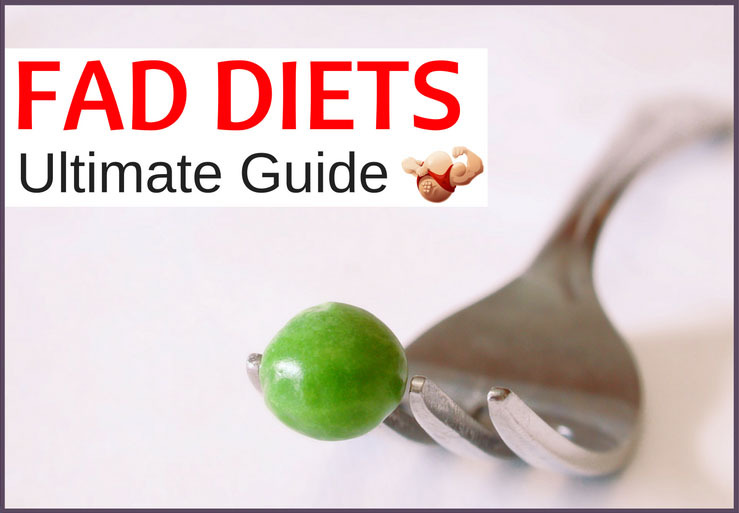 This guide will explain everything behind fad diets today, and help you to make an informed choice when it comes to choosing a diet plan to follow. It can sometimes be hard to tell whether the food plan you’re looking at is a fad diet or not, so we’ve come up with a simple test so you can check for yourself. Is it advertised as a "quick fix"? Does it encourage a dangerously low calorie intake? Does it focus on eating just one or two food groups, or cut out any major food groups entirely (e.g. fats or carbohydrates)? Does it encourage unusual or unrealistic eating habits? If the diet encompasses one or more of these things, then it is probably a fad diet. Before we start breaking down the specifics of some popular fad diets today, it’s important to warn you of the dangers of following a fad diet plan. While the promise of a quick fix can be alluring, nothing is ever what it seems. If the diet you are looking at promises you will lose six pounds in one week, it probably encourages some very dangerous eating habits – in fact, doctors recommend that to lose weight at a safe rate, you shouldn’t be aiming to drop more than two pounds a week. If you want to lose a serious amount of weight, you should always consult a doctor first. And if you’re looking for long-term weight loss, the best way to go is to always to follow a healthier diet that encourages you to eat nutritiously. Fad diets come in a range of forms, from a few strange tweaks to your existing diet, to a full blown overhaul of your eating habits. Dieters on a low carbohydrate diet completely avoid sugary foods such as soda, juice, cake, chocolate and other candy. Starchy foods like bread, rice, pasta, and potatoes are also off-limits, and alcohol is usually banned too.Instead, dieters focus on eating meat, fish, eggs, fresh vegetables, and high fat sauces and oils to feel full. A low fat diet cuts out any fatty meat, full fat dairy products, pastries, cake and chocolate. Fried food is also not allowed.Dieters are instead encouraged to eat leaner white meats (like turkey and chicken), fish, low fat dairy products, and plenty offruit and vegetables. High protein diets focus on eating large amounts of protein to keep hunger at bay. Foods allowed include meat, fish, seafood, dairy products, eggs, and nuts and seeds. High protein diets are often incorporated with low fat and low carbohydrate intake. 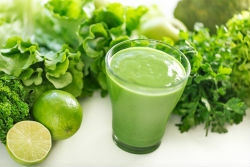 A complete overhaul of a normal diet, cleanses are intended to be used as a detox before a special event, or before embarking on a healthier permanent diet. 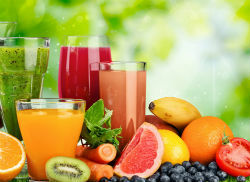 Those on a cleanse replace much (or sometimes all) of their solid food intake with liquids.These can range from special juices and teas, to light soups and broths. Diets that restrict animal products - for example vegetarianism - exist on a spectrum. Some limit the types of meat eaten (such as only eating white meat), while others completely abstain from eating animals and their by-products at all. While these elements are by no means exhaustive, they do form the base of many fad diets popular today. See the next section for our list of fad diets. Now that you know some of the common restrictions behind many popular fad diets today, it’s time we introduced you to a few of them more specifically. Read on for our comprehensive list of some of the most common fad diets today. The 5:2 diet allows weight-watchers to maintain a normal diet for five days of the week, with the other two designated as fast days. There are no restrictions on the foods you can eat, as long as the calories consumed on fast days amount to no more than 25% of your calorie intake on the normal days. An alkaline diet focuses on removing acidifying foods from the diet including meat, dairy, and refined sugars. Instead, alkalizing vegetables and fruit form the base of all meals. Cutting acidic foods from the diet is thought to be particularly beneficial for those with heart problems, high blood pressure, and high levels of cholesterol. The Atkins Diet was the low carbohydrate diet of the early 2000s (notorious for lots of eggs and bacon), and was so popular that it was blamed for pasta and rice sales declining! It has since had a revamp, and is followed by many dieters to this day. People on this plan swap out one or more meals a day for, you guessed it – baby food. The low calorie content helps to severely cut calories and control portion sizes.Alongside baby food jars or homemade puree, a healthy ‘adult’ meal is encouraged in the evening. The blood type diet claims that each blood type has its own distinctive make-up, and therefore people have a different set of nutritional requirements according to theirs. Eating the right kinds of food for your blood type is said to help you lose weight, and help prevent a number of diseases. Not for the faint-hearted, this plan allows dieters to eat as much of a specially prepared cabbage soup as they like to feel full. Thankfully, this is usually alongside a limited diet of solids like fruit, vegetables and some protein. 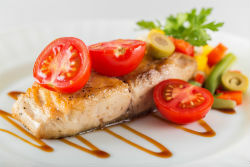 The French Dukan Diet rose to popularity in the 2000s, with women keen to achieve the stereotype of a slim, Parisian body. While the rules of the diet are complicated, it essentially comes down to eating low carb, high protein foods – like many diets do! Taking veganism to the extreme, fruitarians eat nothing but fruit, nuts and seeds. While mainly taken on as part of a holistic lifestyle, fruitarianism is sometimes used as a method for rapid weight loss. 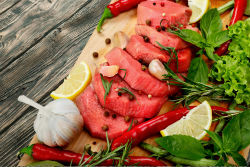 Hailed as a quick fix without having to change your existing diet, the five bites diet allows you to eat whatever you want – as long as you only have five bites per meal. You’re allowed to fill up further on zero calorie drinks like black coffee and diet soda. The grapefruit has long been thought to aid fat loss. So this plan asks dieters to eat the fruit alongside low calorie meals, to help aid their weight loss goals (though it is actually thought that the low calorie intake is what reallyhelps this – not the fruit). Sometimes considered a lifestyle rather than just a food plan, the macrobiotic diet is all about creating a balance in your life. Organic whole grains, beans and vegetables form the staples of the diet, and dairy, eggs, processed and sugary foods are discouraged. Popularized by celebrities including Beyoncé, this detoxifying diet involves 10 days of drinking a specially prepared lemon, maple syrup and cayenne pepper water. 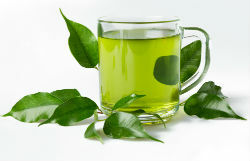 Laxatives are sometimes used alongside the drink to flush toxins out of the body. The Paleo Diet encourages its followers to eat like our early human ancestors, supposedly feeding our body the way it has been genetically programmed to be. 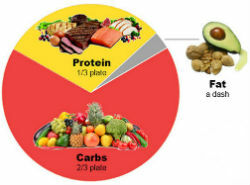 Lean proteins, fruits and vegetables, and healthy fats form the base of the diet. Raw foodists believe that cooking food destroys its nutrients – therefore all food must be eaten raw, or no warmer than 118 °F. The main foods eaten include raw fruits and vegetables, nuts, seeds, and grains. Some eat raw fish and meat too. The Shangri La Diet offers weight loss without dieting! You can continue your current eating habits. All you have to do is add in some flavorless oil or sugar water. It focuses on the "Set point" of the body. By consuming oil an hour before your intended eating time, you can lower your "set point" and thus reduce your hunger and therefore your calorie intake. This diet definitely piques our interest because you don't have to change your unhealthy habits at all. Promising followers the perfect beach body, the South Beach Diet became popular in the early 2000s thanks to its books and products. It focuses on eating high fiber, lean protein and ‘good’ carb foods. Exercise is encouraged, while calorie counting is not. The Sugar Busters diet is another plan that focuses on eating fruits and vegetables, protein, and wholegrain carbohydrates. Foods with a high glycemic index (or GI) are to be avoided, including white carbohydrates and, of course, refined sugars. The idea behind Volumetrics is to eat until you feel full – no, really! Dieters are encouraged to eat the ‘right’ kind of foods from predetermined categories, giving them three meals, two snacks, and even one dessert to graze on every day. The Zone Diet aims to reduce inflammation from the diet that can lead to weight gain, illness, and faster aging. A balanced diet of protein, carbs, and fat is achievedthrough the ‘block’ chart, which designates how much and how frequently you should be eating depending on your body type and gender. Like fashion trends and music genres, diets go through phases. And the diet that it seemed like everyone was following last season will transform into the next one - before you even had a chance to buy your new grocery list! While this trendiness still applies to diets today, the majority of those popularized by the media, celebrities and health professionals have taken a step away from the starvation and rapid weight loss of the 90s and 2000s- instead focusing on methods like eating nutritional, whole foods, and maintaining healthier long-term eating habits. and while they might go by different names, they are now mostly focused on healthier methods such as more sustainable weight loss, intake of nutrients, and quality of food. They also have more scientific backing than their faddy predecessors. Here are some of the popular diets today that promote some of these healthier weight loss methods. We’ve already explained that the 5:2 diet allows dieters to continue to eat their normal diet for five days of the week, with the other two set as low calorie fast days. While it has been found to be no better than cutting overall calorie intake, many people find it more manageable to diet for just two days of the week, rather than all the time. With a huge number of books written about it, miles of magazine space dedicated to it and famous models like Miranda Kerr following it, it is safe to say that the 5:2 diet is probably the most popular diet of the last few years. 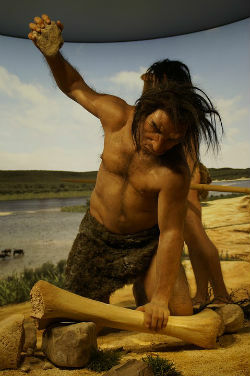 While the paleo diet may take you back to eating like a caveman, it’s not looking like one that people find appealing! Just some of the benefits dieters are promised include more stable blood sugar levels, increased ability to burn off fat, improved energy, and better looking skin. 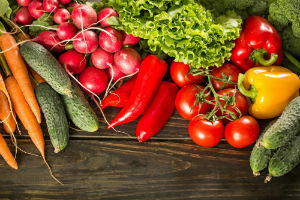 Another reason for its popularity is how simple it is to follow – the diet is based on whole foods including meat, fish, eggs, most fruits and vegetables, healthy fats, nuts, seeds, herbs and spices. That means that any no-go foods like dairy, pasta, grains and beanswill usually come pre-packaged, making it easy to avoid those aisles in the grocery store. Paleo is also popular among gym bunnies, as increased energy levels from the diet can help improve performance during workouts. Omitting refined carbohydrates, grains and pulses also helps to reduce bloating, creating an enviably flat stomach. Similar to the paleo diet, eating clean is all about the whole foods. More of a lifestyle than a diet, those who eat clean avoid refined and overly processed foods, instead creating meals from scratch using good, healthy ingredients like fruits, vegetables, unrefined grains, and meat and fish. Eating clean is also suited to those with allergies, as it is dairy and gluten free. And as most meals will have to be cooked from scratch, this gives people complete control over what they eat - as long as they are using nutritious ingredients. The movement has particularly taken off in the UK, with bloggers like Deliciously Ella and Hemsley+Hemsley gaining popularity for their colorful recipes and lifestyle tips. Numbers of vegetarians have risen dramatically recently, with 5% of the total US population now following a meat-free diet – that’s 16 million people! A further half of these are estimated to be vegan, so not consuming animal products at all. So why are people choosing to cut meat from their diets? Mostly, because they that believe that animals simply shouldn’t be killed for food. Popular documentaries like Earthlings and Cowspiracy have highlighted the cruelty of the meat and dairy industry, as well as the environmental impact, resonating with people all over the world. Of course, there are health benefits too. While people used to think that cutting out meat would lead to lack of energy and anemia, it has been proven that eating the right foods will provide you with just as many vitamins and minerals as a diet including meat. Simply eating more vegetables and less fatty meat can help you to lose weight, too. Finally, it is a lot more convenient to be a vegetarian than it used to be. Chances are most restaurants you visit will have a veggie sandwich or burger option, at the least – and if you’re lucky enough to live somewhere like LA or NY, you will be blessed with tons of totally meat-free joints. Supermarkets like Whole Foods also offer a huge range of products. There is no doubt that fad diets are also popularized by endorsements from our favorite celebrities. Read on to the next chapter to find out some of the craziest diets celebrities follow to look their best in the spotlight. Some of the most high profile fad diets have gained their reputation from celebrities. With such high levels of public scrutiny, celebrities are under serious pressure to stay in shape. And whether it’s shedding weight for a film role, or losing those post-baby pounds, it’s hard to think of one who hasn’t put their weight loss secrets down to the latest faddy diet. Here are just some of the famous faces who have helped to popularize the fad diets they have endured. Beyoncé went on the now infamous lemonade diet (maybe that’s the reason behind her new song?) in 2006, while slimming down for her acting role in Dreamgirls. And it worked – she lost a huge 20 pounds in just two weeks, with gossip magazines going crazy over the effects of the cleanse. Once the movie had been completed, the self-confessed food lover admitted she ate “waffles, fried chicken, cheeseburgers, french-fries, everything I could find. That was the best time of my life. I’ve gained 12 pounds”. More recently Beyoncé appears to have achieved a healthier balance in her eating habits, experimenting with veganism, and even endorsing a plant-based living diet 22 Days Nutrition. In preparation for her Royal wedding to Prince William in 2011, Kate Middleton strictly followed the Dukan Diet. Besides - you have to look your best when your wedding is being watched around the world! However the diet’s creator believed the Duchess of Cambridge took the diet too far in preparation for the event, saying "I think she lost too much", and that "at the beginning she had good cheeks. Now, she has no cheeks". Now a mother of two, Kate maintains a healthy weight by eating a diet filled with fruits and vegetables, working out daily, and participating in sports like running and swimming. While it might sound too good to be true, this diet, made famous by Kim Kardashian among other celebrities, involves replacing several meals with special fibrous, low calorie cookies. Not quite as delicious as the Girl Scout Cookies you might have imagined! A healthy dinner is eaten in the evening, and alongside six of the not-so-sweet treats amounts to a daily intake of 1,200 calories. The producers of the cookies claim that you can lose 10 pounds in a month while following this plan. After having two children with her husband, rapper Kanye West, Kim is now following the Atkins Diet to help get back to her pre-pregnancy weight. She also works out daily, and regularly shares videos of her workouts from her Snapchat. The patron saint of celebrity diets, Gwyneth Paltrow has been through many food phases –once even admitting that she had banned her children from eating carbohydrates! However the diet Gwyneth is most associated with is probably the macrobiotic diet. She puts her favor of the diet down to its flexibility, admitting she enjoys cheese, coffee and wine – stating “I’ve got lots of lovely vices”. She now runs lifestyle website Goop, which features many of her healthily balanced (and delicious looking) recipes. While all fad diets have some level of risk to them, some of them can be particularly harmful to your physical and mental health. The worst diets for your health are usually the ones that can be described using the words “cleanse” or “detox”. These are usually intended to be undertaken before a special event or holiday, and are often based on liquids rather than solid food. Cleanses and detoxes are usually recommended to be followed for no longer than a week, but even in this short period side effects experienced can include headaches, bowel disruption, fatigue, and bad breath – not to mention the intense hunger pains. Sticking to a cleanse or detox diet for even longer can pose serious health risks like dehydration, malnutrition, muscle loss, and even skin damage to a certain part of your body from frequent trips to the bathroom! Additionally, the use of laxatives or “cleansing teas”made popular by Instagrammers and promoted as a detox method often contain harmful ingredients that can impair your body's natural responses. Becoming dependent on laxatives as a weight loss method is very dangerous, and can cause permanent damage to organs including the colon and liver, Irritable Bowel Syndrome, - and even cancer. So if the diet you’re considering sounds like a cleanse or a detox, please be aware of the very serious risks associated with them. Now we’ve taken you through some of the most popular, celebrity-endorsed, and risky fad diets today, how about some really weirdandcrazy ones? Here are some of the most unusual fad diets out there that we definitely recommend you don’t try at home. Not that you’d even want to, we’re sure! The Fletcherism diet – otherwise known as the chewing diet – was created by Horace Fletcher in 1903. He stated that by chewing your food at least 32 times, then spitting out the remaining solids, you can lose serious amounts of weight. In fact Fletcher did just that – managing to lose over 40 pounds with the method. While the technique allows you to eat whatever you want, it’s definitely not a sensible way to lose weight. 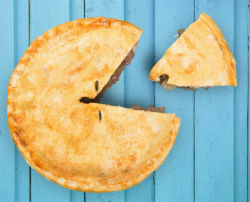 Calories can still be ingested by chewing food, but the lack of fiber from spitting out the solids can lead to bowel problems and persistent hunger. Not to mention how unhygienic it is – imagine the reactions from your family or coworkers when eating around them! Elvis Presley was said to have followed this diet, where sedatives are used to sleep for several days. The idea is that if you’re sleeping you aren’t consuming any calories, so your body will use up existing energy stores, leading to weight loss. However the Sleeping Beauty diet has absolutely no scientific backing proving its results, and sleeping for days on end can be dangerous. Sedatives are also known to be addictive, so the user could potentially form a heavy dependence on them. And besides – who has time to sleep that much anyway? Definitely not one to try at home, this gruesome diet was established in the early 1900s and involves ingesting a tapeworm parasite, which feeds off digested food. This means that you can consume calories while losing weight, until the desired effects are achieved and the tapeworm is removed. Ingesting tapeworms is extremely dangerous, and can lead to internal blockages from growing tapeworms, cysts from the larvae they produce - and even death. While you are guaranteed tolose weight, deliberately making yourself sick is absolutelynot the right way to do it. 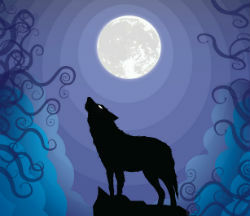 While it might sound like this diet means eating like a beast, the Werewolf Diet actually involves fasting according to the phases of the moon. However, it has not yet been proven that fasting during a lunar cycle makes the results any more effective than usual. Fasting intermittently is not uncommon among dieters, but it can lead to unpleasant side effects like fatigue,dizziness and headaches, making it very hard to go about your day to day life. For those desperate to lose a few pounds or more, the empty promises of fad diets can make it hard to make a sensible decision when choosing a plan to follow. However, picking a good diet doesn't have to be hard - here's what to do instead. Basing your diet on whole foods and avoiding pre-packaged snacks and meals is undoubtedly a great way to eat. Packaged food often contains excess calories, unhealthy fats, and dubious chemicals that can promote weight gain, and compared to a diet full of fresh fruits, vegetables, meats and grains, there are no health benefits. It also means that you can pretty much eat what you want – as long as you buy the ingredients and make it yourself, nothing is off limits. Making your own snacks and cooking from scratch isautomaticallyhealthier, as you can control what you put in it yourself (also making it easy to adjust for dietary requirements like gluten or dairy intolerance). One trick for following a whole foods diet is to stick to the perimeters of the grocery store when buying your food, as this is where the unprocessed ingredients are kept. Low fat diet advice has been overturned in recent years, with researchers recommending a Mediterranean diet filled with whole foods and good fats for optimum health. This means that foods like nuts and avocados that have gained a bad reputation among dieters, should in fact be part of your eating plan, as they are filled with nutrients and are highly satiating. So pass the guacamole! However saturated fats should be limited if you really want to lose weight, and everyone should avoid trans fats, which can cause rapid weight gain and some cancers (and are even banned in many countries). Going vegetarian or vegan can be a great way to get lower calorie, nutrient-dense foods into your diet. People often find that cutting meat out of their diet encourages them to be more inventive with their food, and to think outside the box by using vegetables as the base of meals, rather than just as an afterthought. It also means that fast food is mostly off limits, with fried chicken and burger joints offering few (if any) options to cater to you.And for those that ask “but where do you get your protein from?” - if you do your research beforehand, you’ll find there are plenty of delicious and healthy options to help you out in that field, including eggs, cheese, lentils, beans, nuts, tofu… among many more! Portion control is a skill many people have lost in a culture where huge portions are encouraged by food advertising and restaurants. But did you know that something as simple as using smaller plates for meals has been proven to help people lose weight? Even if you aren’t ready for a drastic change to your diet, simply take a look at your plate and consider what you could do to make it that bit healthier. Ideally, half of your plate should be made up of fresh vegetables, a quarter of protein, and a quarter of carbohydrates – try and aim for this balance for each of your meals. Meal prepping is when you prepare a number of meals in batch, usually for the week ahead. This is a great option for losing weight, as you can control exactly what you will be eating in advance, and in turn discourage you from making bad food choices. Prepping your meals in advance also allows you to become more mindful about what you put into your body, and to acknowledge any food groups you might be lacking. This guide is a great introduction to the activity. We hope you enjoyed reading our ultimate guide to fad diets, and have learnt more about what constitutes a healthy diet. While they can be an effective short-term fix for a holiday or special event, fad diets are not a sustainable way to keep the weight off. Only permanent changes to your lifestyle will help to do that. Luckily, these changes are super easy to make. Even byjust eating more fruits and vegetables, cutting out junk food, and exercising regularly, you will seeand feel positive changes in your body. So however you choose to lose, we wish you good luck – and happy dieting!